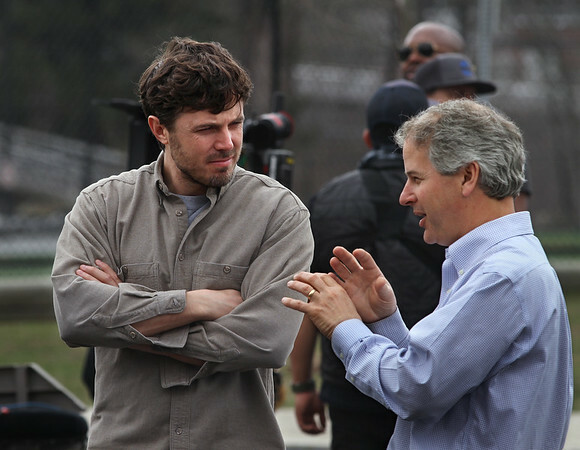 Paul Murphy, right, a Rockport selectman and vice principal of Manchester Essex Regional Middle/High School, visits Tuesday afternoon with actor Casey Affleck outside the school in Manchester. Affleck and a large crew were at the school all day to film scenes for the upcoming film, "Manchester-by-the-Sea." One scene was shot inside Murphy's office.